What better way to add color to your life than with bright, cheerful projects? Or delicately dreamy yarn? 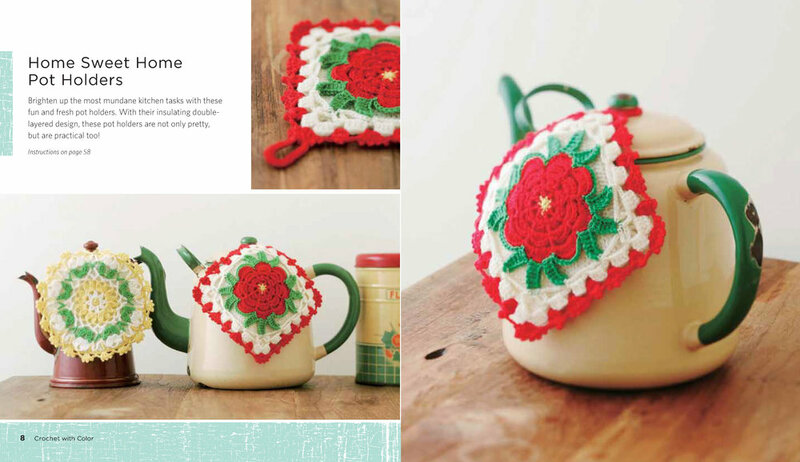 Crochet with Color features 25 classic crochet projects updated with fresh colorways to get you inspired. Add a touch of accent color to any room with brightly-hued accessories from the Domestic Bliss section, or refresh your wardrobe with the Out and About projects. Crochet patterns and instructions for projects for the home—beautiful pillows, throws and tablecloths—and projects to wear—stylish hats, scarves, bags and even children’s accessories! Instruction on reading crochet patterns and charts. An overview of basic stitches and methods—which is all you’ll need! Colorful inspiration to get any yarn lover moving!